Friends, I want to thank all of you for your prayers, warm thoughts, and support as we have worked to heal Lazaruff, the Louisiana dog who came back from the dead. Now we want to ask one more thing of you. 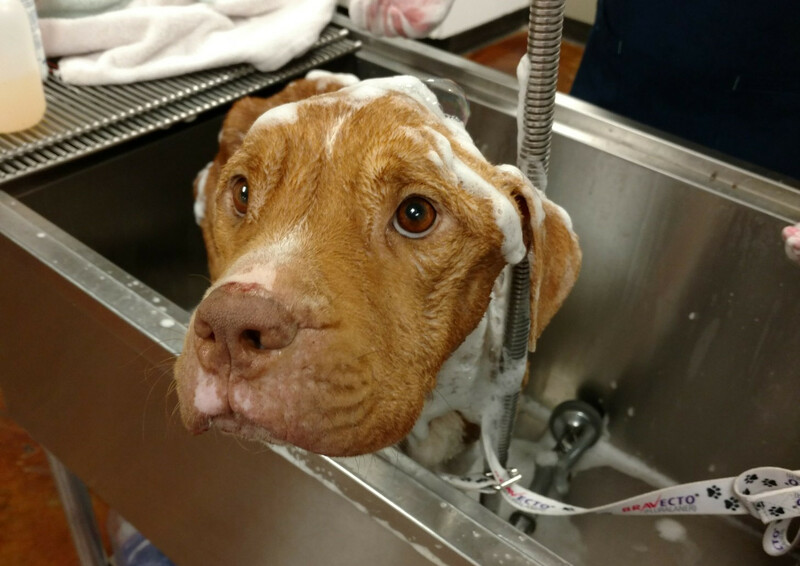 While Lazaruff has gone through the extensive medical care he needed to survive and to travel to us, we’ve also been working closely with a boarded veterinary behaviorist and a Fear Free Certified trainer to make sure he was ready to transition from his life of hell before his rescue to a loving home. 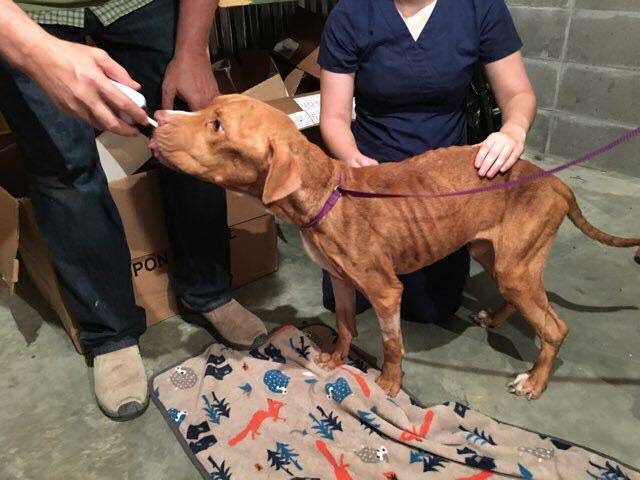 After all, having been literally taken for dead when he was found in abandoned home, crawling with flies and so emaciated and dehydrated that he looked like a skeleton with skin (that photo of him was after he’d gained nearly 20 pounds since the rescue), what were the chances he’d easily adapt to life with people who loved and cared for him? To a home and a sofa and a tender touch? What we learned is that Lazaruff is a hugely affectionate dog who likes nothing more than to rest his big head in someone’s lap and have his belly rubbed. He is loving, sweet, and bonds deeply. He wants to live inside with his family. Without knowing his background, we had feared he might be dog aggressive and that we’d have trouble integrating him with our family in Northern Idaho. What we discovered is very different: Lazaruff is afraid of other dogs. He doesn’t want to be around them. He doesn’t want to be in chaotic or noisy environments. He doesn’t enjoy “the great outdoors.” He enjoys a quiet, peaceful life with people who want to love him endlessly. 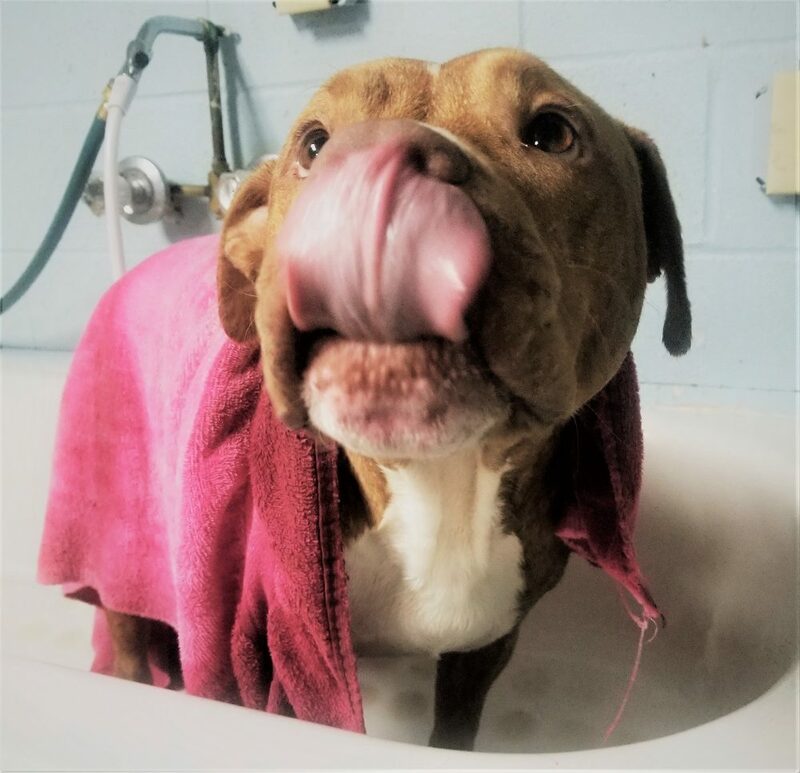 After much prayer and soul-searching and consulting with the veterinarian team members who are caring for him, the behaviorist treating him, and the trainer working with him, we have accepted that Lazaruff needs a different kind of home than ours. We are hoping you will help us find tht home. 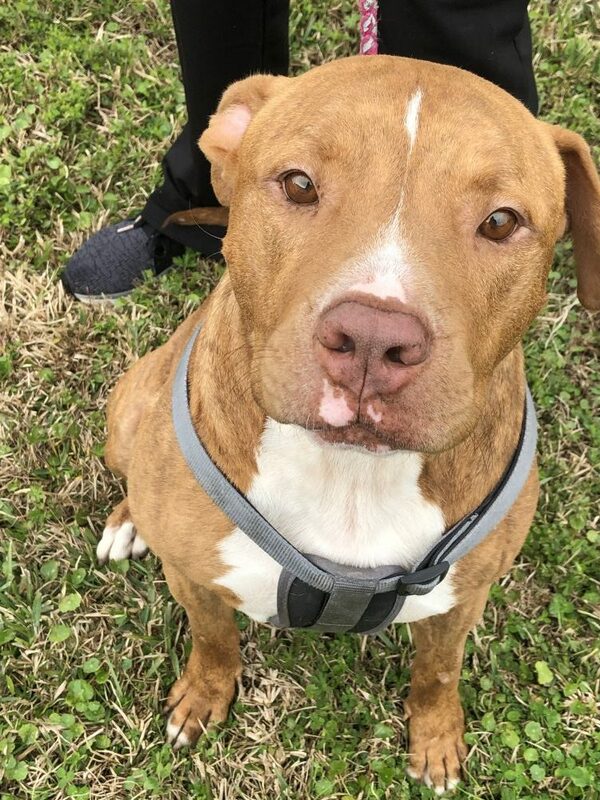 While we’d like him to stay in the Baton Rouge, Louisiana, area so he can continue being cared for by the people who love him as much as we do, we are open to a home anywhere as long as it’s the right home. If you or someone you know would like to be considered for adoption of Lazaruff (and becoming part of the Becker extended family for life! ), please email me at petconnectionfbt@gmail.com. You’ll get an auto-response to that email; just ignore it. I will read your email and I will reply to you! This dear dog deserves love after all he’s been through. We are counting on you to help us make sure he gets it. You can read more of his story here.